If you want to be your best, join the industry leader. With a rapidly expanding global business, Poolwerx is always on the lookout for talented, passionate and committed people who can make an immediate impact. With an international portfolio of specialist roles available, Poolwerx offers exciting opportunities for career advancement both within the United States and overseas. At Poolwerx we know our people are our greatest strength. Here’s what we can do for you. Our values are at the heart of everything we do – how we operate and how we want to be perceived by our peers, partners and our clients. We recognize that a great team culture goes a long way to building loyalty and successful business outcomes. We focus on supporting each other, working hard as a team, and having fun! Join a recognized and trusted brand! Operating for over 25 years, Poolwerx is Australia’s largest pool and spa network with 300+ service vans and 110+ retail stores and our presence in the USA is growing rapidly. With an aggressive growth and development program in place, career opportunities open up on a regular basis. Do what you love while you learn! We don’t just invest in people, we invest in their skills. Poolwerx gives you the opportunity to undertake nationally accredited training and earn recognized certification. In fact, we have all of our Franchises certified in Pool & Spa servicing, so you know you are joining a business that takes training seriously. See where Poolwerx can take you! Poolwerx currently operates in the United States, Australia and New Zealand, with further international expansion on the horizon. When you join the Poolwerx team, you open the door to broad career opportunities both here and overseas. 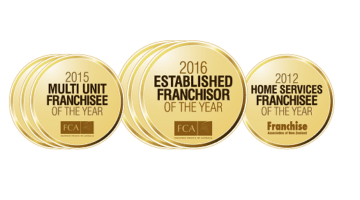 Award Winning business – Join a winning team! Poolwerx has been ranked 183 in the 2018 Entrepreneur’s magazine’s Top 500 Franchise list. Poolwerx is made up of passionate, driven, dynamic, enthusiastic and energetic individuals working towards a common goal. We pride ourselves on our commitment to excellence for our clients, colleagues and suppliers. With a number of job streams available within the business, including retail, technical and corporate, there’s something for everyone. Do you love working outdoors? Do you have an aptitude for all things technical? Are you self-motivated and enjoy working unsupervised? A technician role might be for you! Poolwerx offers on-the-job training in water chemistry and testing, pool servicing, installation of pumps, chlorinators and filters, and maintenance procedures. Are you a people person with a positive and friendly attitude? Do you have excellent communication and customer service skills? Join our team of talented retailers! Based in Dallas, the Poolwerx Support Center team is a dedicated group of specialists who work behind the scenes to support our growing network of talented people. Opportunities exist within specialist fields such as Management, Operations, Franchise Development, Marketing, Supply Chain, Retail & Sales, Finance, Legal, Human Resources, Learning & Development, Commercial Development, Information Technology, and Administration.